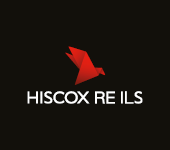 Hiscox Re and ILS, the reinsurance and insurance-linked securities (ILS) arm of the global re/insurer, has launched FloodXtra, a new U.S. primary flood product, which is designed to help address the flood insurance gap and will enable its ILS investors to access sources of flood risk. FloodXtra will be available to Hiscox’s insurance carrier partners. The company says that as flood insurance deregulates, the private market has an opportunity to provide more customers with flood cover, hence the company has designed FloodXtra in collaboration with U.S. carrier partners. The flood insurance protection gap is significant and as a peril it is the single most common natural disaster loss in the United States. But still under 12% of homeowners have flood insurance coverage. Recent disasters have highlighted the need for the private market and efficient reinsurance capital to support the NFIP in delivering flood insurance to customers, Hiscox said. As a result, the FloodXtra product will provide Hiscox’s insurance carrier partners with rates, rules, forms, a ready-to-use underwriting portal and pricing system, and of course reinsurance capacity to support their underwriting. Importantly, Hiscox expects some of the reinsurance capacity to back the flood insurance product will come from its ILS fund strategies.